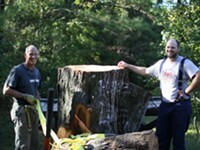 Left: A sad victim of overzealous saws. Right: An example of responsible pollarding. 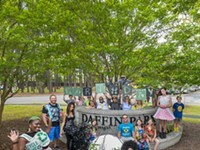 This endearing sobriquet is usually bestowed upon those who love nature in general and is often used derisively by those attempting to belittle environmentalists. In my case, however, I do in fact make a regular practice of throwing my arms around trees. See, working on a computer all day can give a person a rather disconnected feeling, and nothing grounds me like touching something that has actual roots. After a long day at the office with my head in the box, I find pressing my cheek against the tulip magnolia in my front yard quite relaxing. And far less ruinous than tequila. With their papery, mottled limbs and kaleidoscopic blooms, the members of Lagerstroemia indica invite a leaf–lovin’ gal to cuddle up and stay awhile. My affection for them forces me to raise the alarm of the heinous crime currently being committed against crape myrtles across Savannah. Every year around pruning time, well–meaning landscapers and homeowners hack these branched beauties back to the knuckles, leaving gnarled knobs that are totally unsuitable for hugging. This hideous mutilation is also known as “crape murder” and it must be stopped. I bet you think I made that up for dramatic flair.Which is understandable, because I tend towards the dramatic. But crape murder is a real term, employed by professional arborists and Master Gardeners. I called Patrick Grant of Certified Arborist Services to find out why people are so cruel to their crape myrtles, and he sighed with resignation. Most people don’t do it right, cutting below the previous year’s gash and significantly shortening the tree’s life. 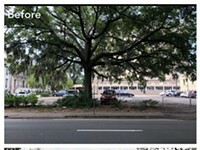 Grant points out that there are crape myrtles in Savannah over 150 years old, but one won’t even live half that long if it’s maintained with the skills of a drunk Edward Scissorhands. 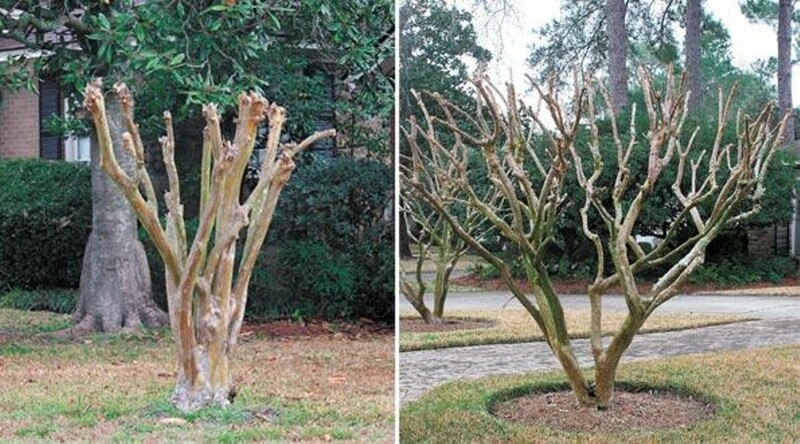 Bill Haws, Forestry Administrator for the City of Savannah, sees mutilated crape myrtles all over town that look like they’ve been pollarded by a toddler with a chainsaw. To stimulate blooms without ruining tree structure, Haws recommends “deadheading”—simply clipping out seed pods at the ends of branches. If you see a crape myrtle or any other variety of tree that needs attention on any of the 350 miles of public sidewalk lawns around the city, do not, I repeat, DO NOT take a machete into your own hands—call 311 so Haws and his team give it some TLC. Houston thinks it’s a combination of ignorance and peer pressure that’s made this seasonal slaughter so widespread. Landscape professionals and property owners lop off limbs all over town and neighbors follow suit, not understanding that while respectful pruning of crossing or dead limbs is warranted, full–on amputation is wholly unnecessary. She adds that some people murder their crape myrtles because they’ve grown too big for the space. Grant, Houston and Haws agree that in many cases, it’s preferable just to cut the whole darn tree down and start over with a more appropriately–sized variety of crape myrtle—there are dozens, from dwarves that only grow to two feet to mammoths soaring 30 feet into the sky. So please, people, put down the saws. Call your landscape company. Demand an end to the senseless butchery of innocent trees. That way, when you go out to your neighborhood crape myrtle for a quick squeeze, its arms might just be long enough to hug you back.